The Republic Act No. 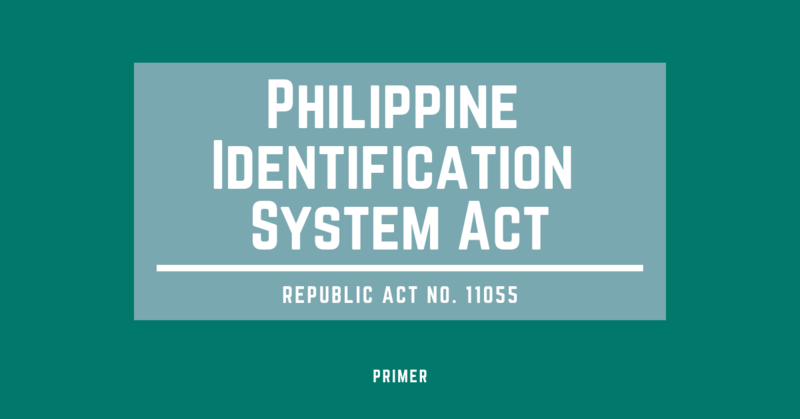 11055 shall be known as the “Philippine Identification System Act.” This act will establish a single national identification system referred to as the “Philippine Identification System” or the “PhilSys” for all citizens and resident aliens of the Republic of the Philippines. to strengthen financial inclusion, and to promote ease of doing business. Towards this end, a resilient digital system shall be deployed to secure the data collected and ensure that the people’s right to privacy, confidentiality and other basic rights are at all times upheld and protected. The PhilSys shall primarily be established to provide a valid proof of identity for all citizens and resident aliens as a means of simplifying public and private transactions. The PhilSys aims to eliminate the need to present other forms of identification when transacting with the government and the private sector, subject to appropriate authentication measures based on a biometric identification system. PHILSYSID.COM aims to provide useful information about the National ID. This is not the official website of Philippine Statistics Authority.